Happy Halloween! Well, almost, right? 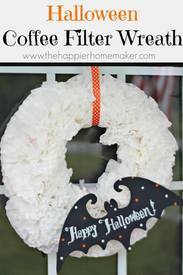 Here is an easy, inexpensive Halloween project so I made this super cute "batty" coffee filter wreath you can make for under $20.